Situated in the heart of South Loop, #1814 is the epitome of city living. Walk into this freshly painted 1 bed, 1 bath condo featuring west-facing views, hardwood flooring & an in-unit washer/dryer. Dine at the many neighborhood restaurants (The Chicago Firehouse is a must-try) or stop by one of the many neighborhood grocery stores & enjoy cooking a meal in the spacious kitchen featuring granite counter tops & a breakfast bar. The king-sized bedroom offers brand-new carpet in addition to a walk-in closet. The fresh bathroom includes a brand-new vanity. Relax on the private balcony overlooking unobstructed views of Chicago or bask in the beautiful warm hues of each evening's sunset. This well-maintained high-rise has 24-hour door staff, on-site management & a fitness room (that you'll actually want to use). 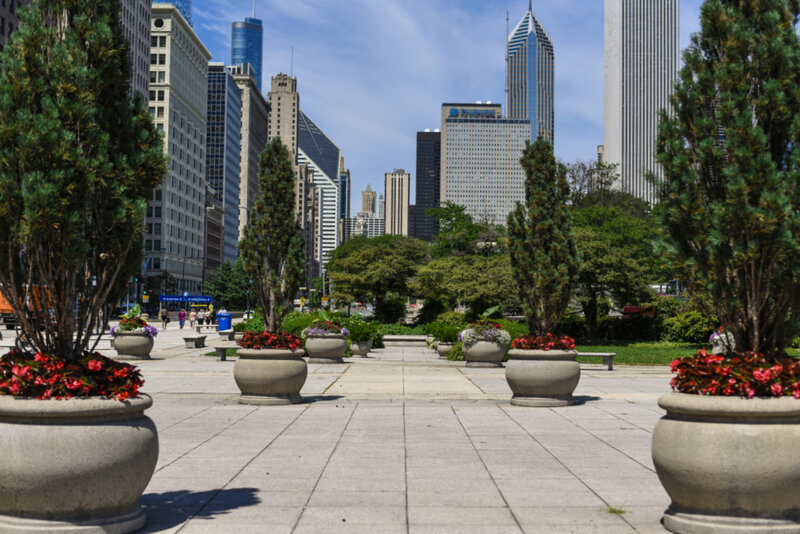 Within minutes of everything you could ever want-public transit, the Lakefront & trails, shopping, Solider Field, museums, dog parks & more. Garage parking included. 1255 S State Street #1814 Chicago, Illinois 60605 is a condo property, currently listed at $270,000. 1255 S State Street #1814 has 1 bedroom(s) and 1 bath(s). Want to learn more about 1255 S State Street #1814 Chicago, Illinois 60605? Contact an @properties agent to request more info.